Hi there! 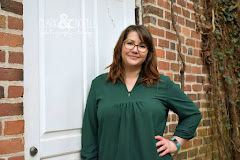 This is my first time linking up with Rachel from Oh Simple Thoughts for her Bread and Wine link up! 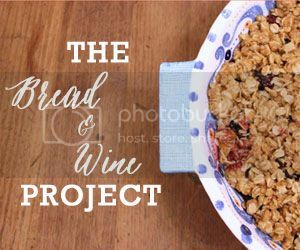 This is what Rachel has to say about the link up, "The Bread & Wine Project is a recipe link up with a purpose. It is a link up about much more than food. The hope is that through this linking up we will push each other to use our homes as mission centers. That we will begin to view our homes, and dinner tables as safe places to bring people in and love them like Jesus." This week's prompt was Crowd Pleasing Dessert. 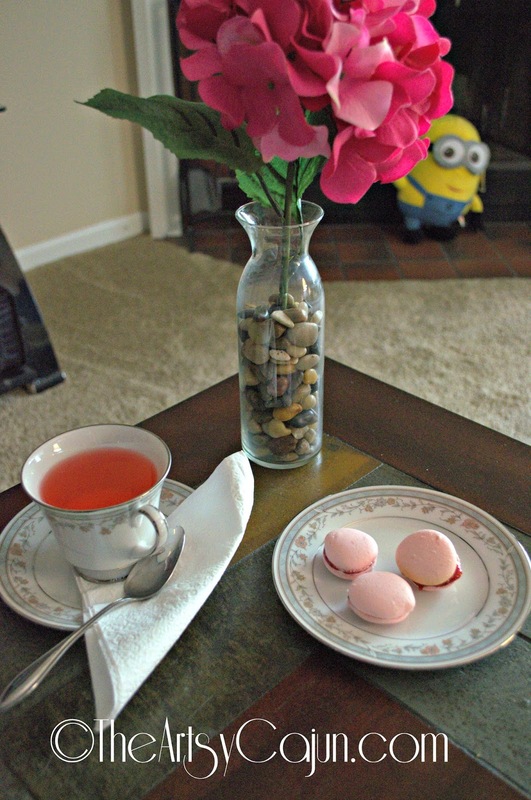 So today, I wanted to share my macron recipe with you! I'll link up next week when I get back from vacation, but I just couldn't wait for you to see this recipe! I love these little things! 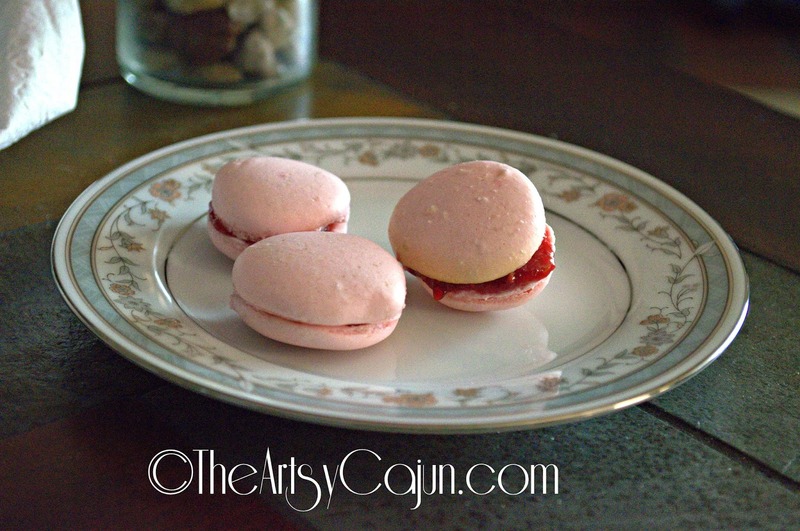 And, I have to say, while we were in Europe, I tasted the "Official French macrons" and this recipe is really close to the official ones! It is a bit time consuming, but oh so worth it. 1. Line a baking sheet with a silicone baking mat, I use SilPlat. 2. Beat egg whites in the bowl of a stand mixer fitted with a whisk attachment until whites are foamy; beat in white sugar and continue beating until egg whites are glossy, fluffy, and hold soft peaks. Sift confectioners' sugar and ground almonds in a separate bowl and quickly fold the almond mixture into the egg whites, about 30 strokes. 3. Spoon a small amount of batter into a plastic bag with a small corner cut off and pipe a test disk of batter, about 1 1/2 inches in diameter, onto prepared baking sheet. If the disk of batter holds a peak instead of flattening immediately, gently fold the batter a few more times and retest. 4. When batter is mixed enough to flatten immediately into an even disk, spoon into a pastry bag fitted with a plain round tip. Pipe the batter onto the baking sheet in rounds, leaving space between the disks. Let the piped cookies stand out at room temperature until they form a hard skin on top, about 1 hour, or 15 minutes like I do. 5. Preheat oven to 285 degrees F (140 degrees C). Bake cookies until set but not browned, about 10 minutes; let cookies cool completely before filling. For the filling, you can use anything you wish! Even your favorite jam or jelly. In this recipe, I bought a qt. of fresh raspberries and boiled them down with 2tbsp of water and 1 cup of sugar. I boiled on medium high heat for about 20 minutes until it starts to gel. I waited until it was cool, and then spooned them onto a cookie and sandwiched it with another cookie. SO delicious! This one is really rich in sweet flavor, so just a couple for each person should work well! I love sharing sweets with company. It's such a nice way to end an evening and send everyone off with a sugar rush! What is your favorite crowd pleasing dessert? Comment below, and link up with us!